Cortical.io, a Vienna, Austria-based developer of a Natural Language Processing (NLP) platform, raised $1.8m in its third round of venture capital funding. Backers included a fund affiliated with Open Field Capital and Reventon. The company is using the funds to expand operations. It is opening an office in the San Francisco Bay Area, where its sales and business development activities will be based. Led by Francisco Webber, CEO and co-founder, Cortical.io provides a semantic engine that processes terabytes of unstructured text in real time, for any language and business domain. The technology can be applied to many different business cases with a particular interest seen in the financial industry. In May 2015, the company entered into a strategic partnership with Numenta, that includes a broad general license to the HTM technology. 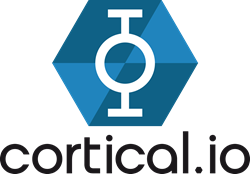 The Cortical.io Retina has been recently certified as a Cloudera partner and is available on the Microsoft Azure and Amazon AWS marketplaces.